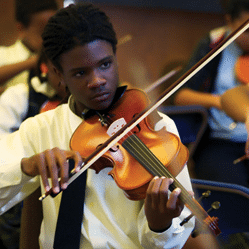 Drawing on LiveConnections’ history of interactive, educational programming for urban youth, this student-driven music and dance extravaganza features youth orchestra participants from Play On, Philly! 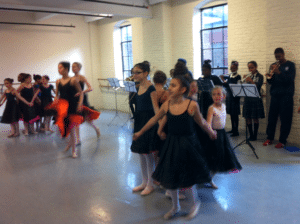 and ballet dancers from the Philadelphia Dance Academy. 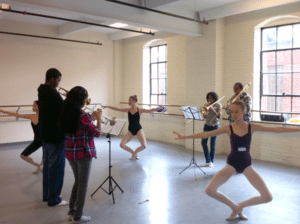 After a year-long collaboration exploring West African and hip-hop dance traditions along with classical repertoire, the students are joining forces to blend sound and movement in a concert of their own design. Since 2008, LiveConnections has served as a creator and curator of innovative, cross-genre music experiences. Our ClassicAlive series “The Collaborators” expands how classical music is experienced by breaking boundaries of repertoire, collaboration and atmosphere in innovative concerts designed to attract both new audiences and long-time classical fans. Preview some of the music you’ll hear at the concert. 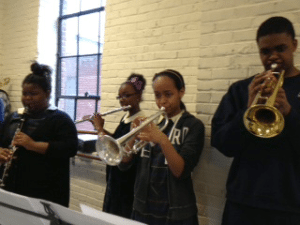 In the collaborative spirit of this concert, students from Play On, Philly! 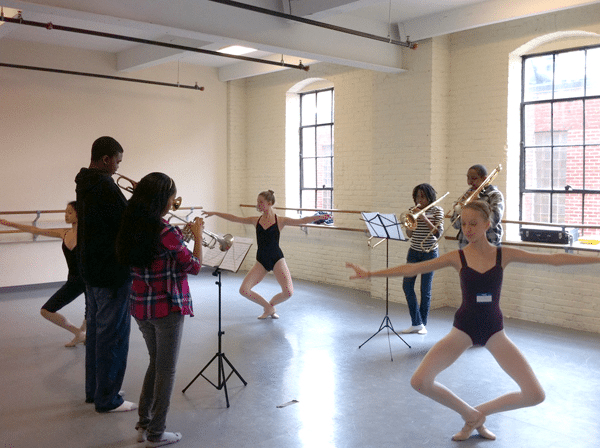 And the Philadelphia Dance Academy try out samba-reggae with LiveConnections teaching artists at a Bridge Session. Students from Play On, Philly! 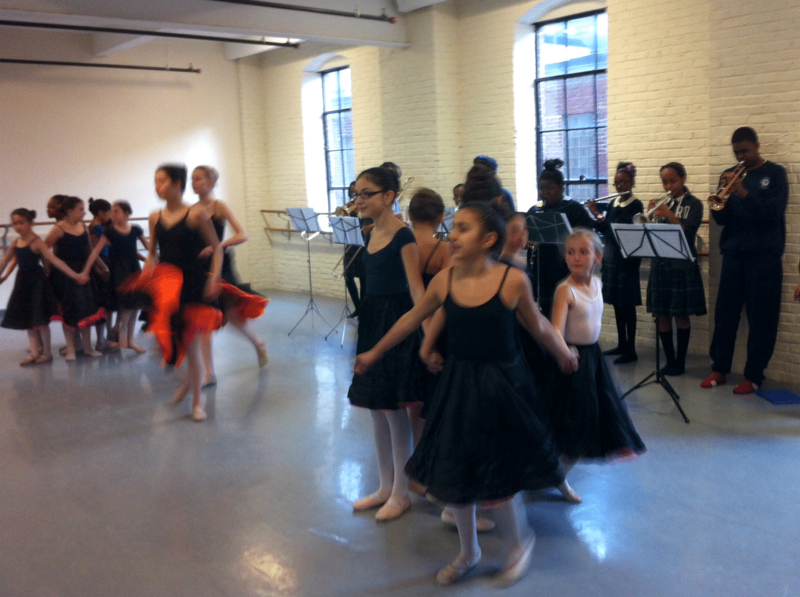 And Philadelphia Dance Academy rehearse.